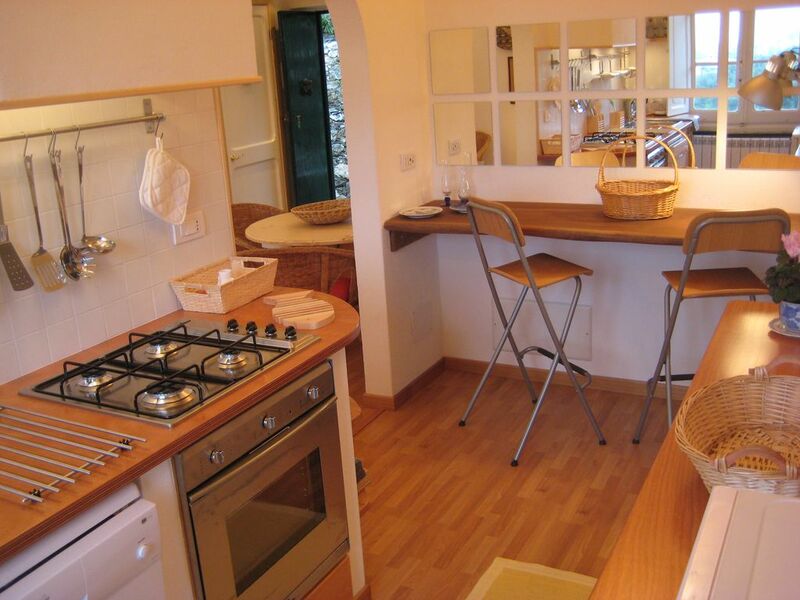 The Garden Lodge is ideal for a relaxing holiday and offers a great opportunity to discover the Cinque Terre. Its surroundings are a typical Ligurian garden with olive and fruit trees. It offers the shared use of an outdoor pool barbecue area and boules. There are two double bedrooms, one bathroom with shower, a well organized kitchen and a living area that opens onto a large terrace. It hosts 4. Please bear in mind, the Garden Lodge, is based on 4 people accommodation, however we can accommodate 1 extra person (adult) adding an extra bed for an extra charge of 25 euros per night. The bathroom has a comfortable shower and bide.